Olufemi Dosunmu is the Chairman of Realty Point Limited, Prime Exchange Limited, Pumpco Limited, Meritan Oil & Chemical Limited & Floreben Nigeria Limited. He is a Director of Technology Distributions Limited, Nigeria America Palm Oil Production Limited and he is on the board of several other non-profit organisations. 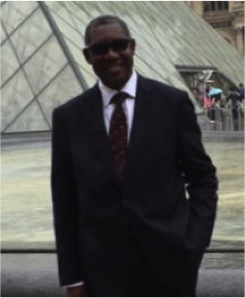 Femi Dosumu, holds a Bachelor of Engineering degree from the University of Nigeria, Nsukka and a Master’s degree in Project Management with speciality in Construction and Infrastructure from the University of Liverpool, U.K. He has worked for over 3 decades in the Construction and Oil & Gas sectors of the Nigerian economy, where he was exposed to emerging and leading edge technologies. He has delivered papers at several events including the annual conference of the Nigerian Society of Engineers (NSE) in Port Harcourt and The Good Samaritan Society of America annual dinner in Minneapolis, MN, USA. He also attended several training programmes and conferences in Nigeria, England, Holland, Belgium and the United States of America. He is a member of the Nigerian Society of Engineers (NSE), Council for the Regulation of Engineering in Nigeria (COREN) as well as other professional bodies. He was listed as one of the fifty most distinguished Engineers in Nigeria by the Tribune Newspapers in the year 2007 and one of the fifty most distinguished Nigerians by the Guardian Newspapers in 2015. He also won the prestigious NSE Presidential Award for year 2014. Femi Dosumu is married to Foluke Dosumu and they are blessed with three children.